Shelley trustees selected the leader of a nearby rural school district as their new superintendent. Chad Williams emerged from a previous pool of four to head Shelley. Trustees made the announcement during a board meeting Tuesday. Williams, who could not be reached for comment Friday, is the superintendent of the Ririe School District, located some 45 miles northeast of Shelley. 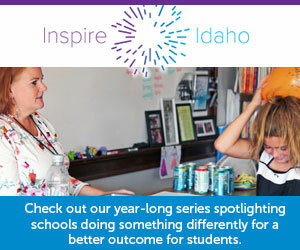 He graduated from Idaho State University, earning bachelor’s, master’s and educational specialist degrees. He taught Spanish, math, coached at West Jefferson High School for seven years and spent one year at Butte Junior-Senior High School as assistant principal and activities director. He was principal at Teton High School for six years and served as Ririe’s principal and superintendent for nine years. Jolley said trustees were impressed by Williams’ ability to “articulate what he has done in terms of student achievement” at Ririe. The school board negotiated a contract with Williams Tuesday before announcing his name to the public. Williams officially accepted the board’s offer Wednesday, Jolley said. Employee and family medical, dental and vision insurance. A performance bonus not to exceed $5,000 for meeting standards determined by trustees. 3 percent of any grant procured by Williams outside of regular grants the district automatically receives. A car and fuel for business and regular day-to-day use. A smart phone for personal and business use. Jolley has led the district since 2004. He will retire at the end of this school year. Shelley is located in East Idaho, about 15 miles south of Idaho Falls.